The Stanley chamfer plane was first made in 1886 and continued in production, unchanged, through to 1938, a year before the start of the Second World War and the year Stanley opened its first factory in England. During the war Stanley gave up making several speciality planes. 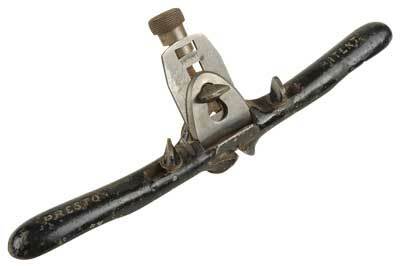 The patent was awarded to Justus A Traut in 1885, one of Stanley's most prolific designers, and inventor of the lateral lever for adjusting steel plane irons, which we use today. 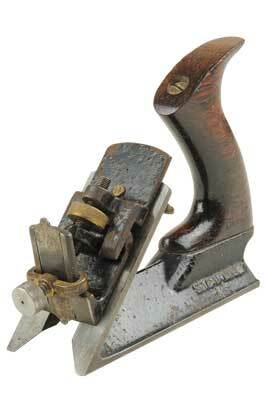 It is referred to as the No.72 chamfer plane, and this is cast on the sole, together with the patent date of 1885. It is an odd looking plane with a 'V' shaped base, a sliding front section with a large capstan-shaped locking nut, all made in cast iron, with a rosewood (Dalbergia latifolia) handle and knob. The front sliding section is easily adjusted to the size of the chamfer by loosening the capstan nut and moving the front section up and down. 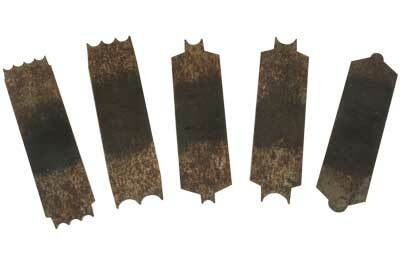 Once the plane iron has been sharpened and set into the front section, it can be left until it needs resharpening. It is a very simple and easy plane to use. 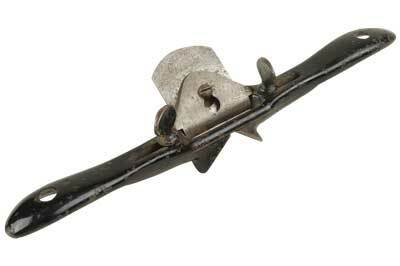 It was sold with an extra front section for bullnose work and is particularly useful for stop chamfers, the blade and cap iron are transferred from the main front section to use it. One further clever refinement is another front section that takes scratch stock cutters for decorative work on chamfers. Obviously not a good seller, because it was dropped in 1918. 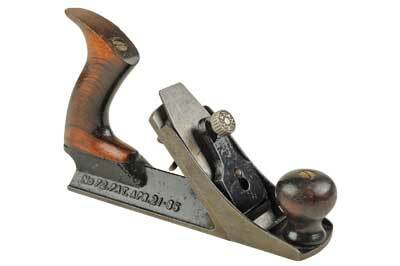 This also makes a plane with all three attachments, that are more scarce and valuable, referred to as the No.72 1/2. When the main front section is adjusted - flush with the base - it can be used as a smoothing plane, no other chamfer plane can do this. 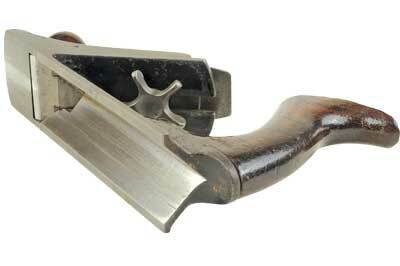 Of course there are many other types of chamfer planes, traditionally the English ones are made of wood with various ways of adjusting and setting the size of chamfer. Preston and Stanley both made spokeshaves for this type of work, and have the advantage of being more versatile for straight and curved work. There is a good selection of new and modern chamfer planes to see on the web, made from metal and wood, but nothing quite as clever as the No.72 1/2. The electric router is fine for small chamfers and larger ones can be made on the over hand planer, or the spindle moulder if you are lucky enough to have them.